Okay, gang, this is a staple at my house. Tahini is an excellent source of iron and calcium and it’s fat is healthy. I make it all the time because there’s nothing more delicious. My version is very lemony and sharp so it spruces up anything. 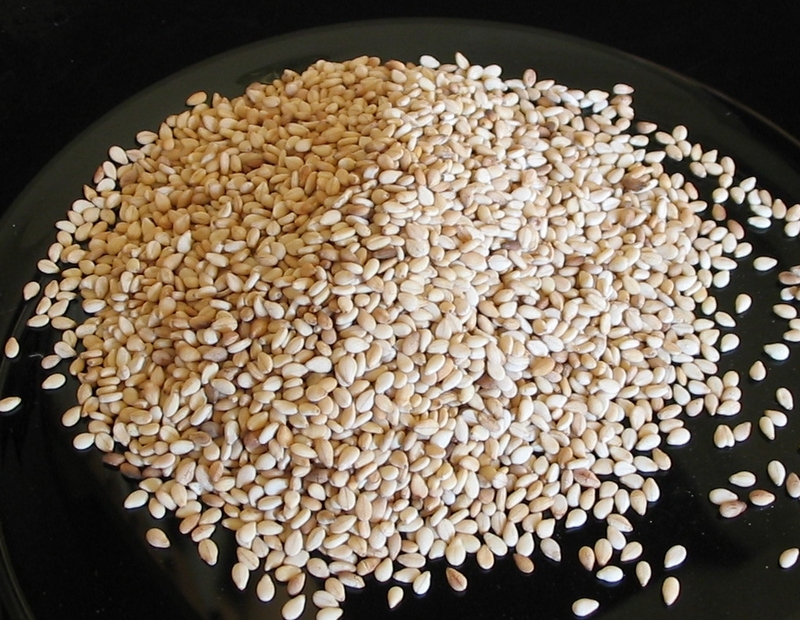 The most important thing about Tahini is to buy good quality raw sesame paste, the best you can find. And make absolutely sure that is has nothing but sesame seeds in there. I’m not going to give you quantities here, because this is strictly a matter of taste. But please, do dare to add more lemon than you would think is necessary. Pour sesame paste into a glass bowl. Add lemon juice in volume about a 1/4 of the paste. Add a small amount of water. Let stand for a few minutes. Add salt and garlic. Start mixing vigorously. the paste will thicken and absorb the liquids. Keep adding more lemon and mixing. Every once in a while add a little water. The Tahini is ready when you get to a consistency of melted chocolate. Eat in pita, mix it into the Humus, drizzle it over your salad, over your Moussaka, into you baba ganoush, and basically anywhere you want to add flavor.